A day of playing the “typical tourist”. 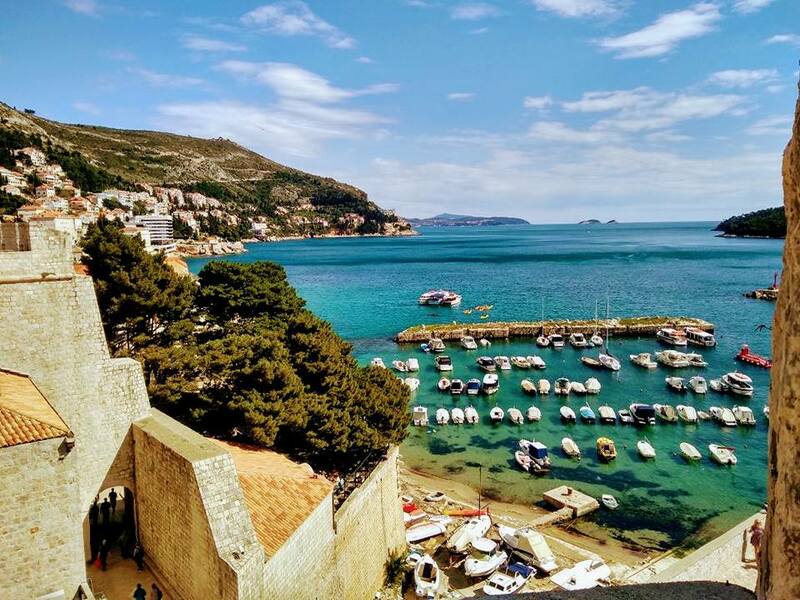 We bought a one day Dubrovnik card online for 170 Kunas (it is cheaper online) which gives access to the famous city walls, public transportation and several other museums and art galleries. It was a good deal compared to buying individual tickets for the sights and bus tickets. We climbed on to the famous city walls followed by some art galleries and a fort. The bright sun warmed up the city and the Adriatic sea glistened with various shades of blue, green and purple . Boats, ship and kayaks of all sizes passed by. The views were breathtaking from the city walls. Topped off the day with a concert in the evening at the Fransican monastery. After visiting the city walls for a couple of hours we were cooling off at a restaurant called Revelin when we witnessed singing followed by gunshots at the pier. It was a wedding celebration ! How to reach- Dubrovnik has an international airport and flights to a lot of major airports within Europe. It is also well connected by bus to cites in and around Croatia. We took a bus from Mostar ( Bosnia I Herzegovina) to Dubrovik. We booked through https://www.buscroatia.com/ and paid around 15 euros for the 4 hour ride. We flew out of Dubrovnik to Rome taking a cheap flight from Vueling. To enjoy the view and have a drink, we found Revelin restaurant quite ideal. A glass of wine or beer costed around 4 euros or 30 Kunas. You can plan and take a little snack with you while visiting city walls as everyting is super pricey on the walls. There are very few restaurants. Wear shoes that are ideal for long hours of walking. We attended a concert at the Fransican monastery performed by the Dubrovnik orchestra. It was very good. Cost: 120 Kunas or 16 euros. Tickets can be bought at the dead of the main street/ stradun. Generally there are posters with details and tickets all over old town. Bus fare inside the city is approximately 12 kunas/ 1.6 euros per ride.